Botch the Crab - Botch's Collection (2008): When Universes Clash! Basically, someone fucked-up the timestream, and now some Autobots and Decepticons from different eras and universes have to put aside their differences to set things right. Can they trust one another enough to keep all of time and space from collapsing? Only time will tell! 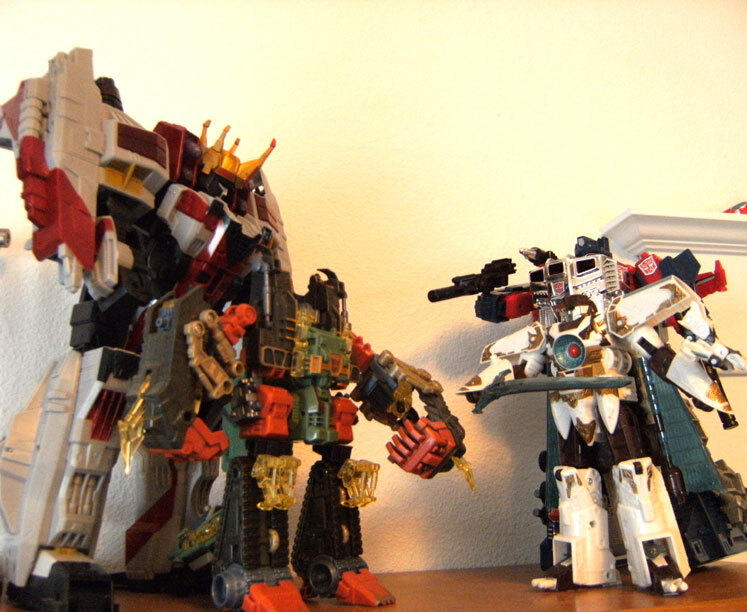 Featured: cross-time versions of Starscream, Scorponok, God Ginrai and Vector Prime.